MOSCOW, Jul 14 (IPS) - When Veronika Sintsova was diagnosed with tuberculosis in 2009, she spent six months in hospital before being discharged and allowed to continue treatment as an outpatient.Today clear of the disease, the 35-year-old former drug user from Kaliningrad says the fact that she beat tuberculosis (TB) is not because of, but rather in spite of, the way many people with tuberculosis are treated in Russia. "I think it would be fair to say that Russian authorities don't take the problem of tuberculosis seriously," she told IPS. Tuberculosis is a major health threat in Russia, where it is the leading infectious disease killer.The country has the highest rates of multi-drug resistant (MDR) and extremely drug resistant (XDR) tuberculosis in Europe and the third highest in the world. And those rates are climbing. 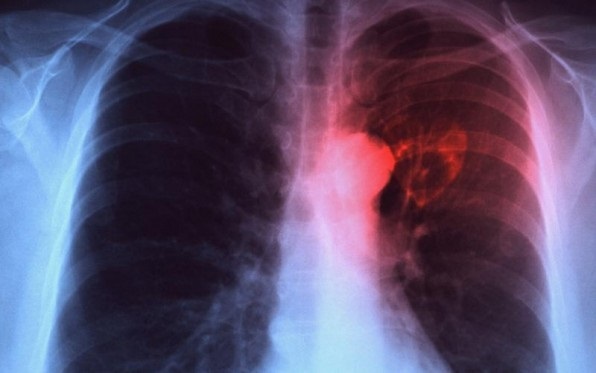 It also has the 11th highest burden of all TB in the world, according to the World Health Organisation (WHO), which just last week said that parts of the country were "disaster areas" for the disease. Tuberculosis exploded in Russia after the collapse of the Soviet Union as health care infrastructure crumbled, the country was thrown into economic crisis and crime and poverty soared, leading to overcrowded penal institutions. But, say NGOs in Russia and international groups working to combat the disease, the continued use of outdated and inefficient approaches to the disease are still fuelling its spread. Long stays in health facilities filled with people with TB were a cornerstone of the Soviet health care system's approach to the disease, and have remained, even though they were abandoned years ago in the West because they were seen as contributing to the spread of the disease. But it is not just in health care facilities where people with TB are being failed. The disease is rife in Russian jails. Overcrowding, poor conditions and bad nutrition all contribute to high infection rates with one in seven prisoners having active TB, according to the Russian Federal Penitentiary Service. The way prisoners with TB are treated typifies the general approach to the disease by authorities. Sintsova said that although she was treated well by doctors, it was during a sixth month spell in prison for a drug offence that she had what she says was "the worst experience" of all the time she had the disease because fellow inmates and wardens took no pity on her when she left her cell. "They would shout out ‘tuberculosis sufferer on a walk' as I went along. That really hurt me. It was probably the worst thing I experienced in all the time I had tuberculosis," she told IPS. And this abuse is typical, she said, of the way many people with the disease are viewed in Russia. TB is common among those at the margins of society – drug users, alcoholics, people with HIV and those in dire poverty. "In our society, a drug user is not a person and their death from tuberculosis is seen as something they deserve," Sintsova, who herself has HIV, told IPS. Third sector groups working with TB sufferers say approaches towards such people need to be changed. Anya Sarang, president of the Andrei Rylkov Foundation for Health and Social Justice, has previously told local media that the "unjustified imprisonment of Russian people, especially drug users, leads to prison overcrowding" which in turn fuels continued TB infection. Others point to the need to provide integrated care for people with co-infections, such as HIV and hepatitis C. Oksana Ponomarenko, Russia country director for the U.S. organisation Partners in Health (PIH) which works with TB patients in Russia, said on the group's website: "The biggest problem lies in the fact that each health system in Russia is vertical and operates separately –TB, drug addiction services, HIV care, psychiatric services, among other health programs. "At federal level and in individual regions these programs are not connected. Often, clinicians in one programme will not have complete information on other nearby services and programmes." PIH and other local organisations have started programmes to try and provide integrated treatment to people with TB in some cities, including a mobile clinic. Some success has been reported in a scheme in the city of Tomsk where prisoners with TB are all housed in one facility. If released before their treatment has finished, they are placed straight into hospital to prevent infecting others when they return to wider society. PIH says that its methods have been adopted as official state policy on TB and legislation was recently brought in to emphasise the importance of ambulatory, rather than institutional, care in TB treatment. The government has also increased spending on TB in recent years, modernised diagnostic equipment and overhauled research institutes specialising in TB. But what worries many working with TB patients is the Kremlin's approach to some of the biggest international funders of TB projects. It recently decided to reject money from the Global Fund for Aids/TB and Malaria, justifying the move by saying that Russia is now a donor to the Global Fund and that it would be wrong for it to continue to take money from it. Some see the move as entirely political and part of attempts by the Kremlin to crack down on foreign NGOs operating in Russia. Another major funder of groups working on TB programmes, USAID, was expelled from the country in 2012 and forced to stop operating, on the grounds that it was interfering in Russian politics. Some projects, including a few run by PIH, have already been affected.